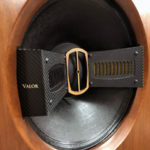 Strangely enough, the Black Sound Violet with Oyaide connectors fared much better with the Elton John than it had with the Miles Davis. Cymbals were a bit recessed, voices a bit diffuse and you could barely hear the banjo. With the Isoclean, the sound was again clearer, voice more complex, good blat on horn. Voice was still a touch diffuse but much less so than with the BSV. The banjo was much more easily heard and bass was excellent. The Isoclean also clearly set the standard for the snare drum. In many ways, the Heighliner was similar to the Isoclean on the Elton John cut, perhaps a touch less dynamic. All instruments played at about the same relative volume as the Isoclean but never seemed to live and breathe in the way that they had with the Isoclean. Individual instruments were easy to follow and never obscured by the mix. Switching to the Mexcel, the snare drum was better but voice was slightly less rich. Horns had somewhat less blat. The piano was very clear but down in level compared to the best. As with the Miles Davis, there was somewhat less bass and the top-end was less clear but never aggressive or bright. Separation of instruments on the soundstage was not nearly as good as with the Isoclean, and overall the cable seemed less able to decode complex mixes. The presentation of the Nordost Brahma was quite different. The snare drum was more prominent than the voice. This conductor was not as dynamic as the very best. The piano lacked punch and the cymbals were down in volume. Voice was not as rich nor was it as textured as the best. The Valhalla was a decided improvement again with more air and definition at the top. Finally the Zyklop: this conductor had the widest stage of any tested and the best dynamics. Focus and dimensionality were again excellent. The banjo was back and in better focus than on the Isoclean. The presentation was well balanced, not favoring one frequency band or instrument over the others. In comparison, the Isoclean was warmer but at the sacrifice of some top-end response. The sense of space was quite good. While not quite as alive as the Isoclean, the Zyklop was also excellent in this regard. While comparative listening sessions like the one described above are extremely helpful in identifying gross differences between cables, there is no real substitute for long term listening in your own system. As a general rule, the more complex the geometry of a conductor and the more exotic the dielectric, the more the cable will benefit from being continuously played in a system. If anything, repeated plugging and unplugging of a cable over a short period disrupts the forming of the dielectric and plays havoc with its sound. While the Zyklop was clearly one of the two best cables in the test group, certainly the one with the best balance of strengths and weaknesses, it improved dramatically when continuously plugged in for 24 hours. At times in the initial listening, and only in comparison to the Isoclean, the Zyklop could sound somewhat less rich in the midbass and lower midrange. The Isoclean in comparison could sound a bit soft at the top. Over the course of an hour of play, the tonal balance of the Zyklop in the midbass and lower midrange matched that of the Isoclean but retained the extension at the top, as well as control and extension in the low bass. The Isoclean was only very slightly affected by plugging and unplugging. Although the CD’s actually played were too numerous to list, the following were used as references: 1) Allan Holdsworth, All Night Wrong (Favored Nations FN 2330-2); 2) Promethius, (Hugo Wolf HMC 901837); 3) American Beauty Soundtrack, particularly cuts 1 and 2; 4) Eagles. Until Hell Freezes Over (XRCD); 5) Dire Straits, Brothers in Arms (XRCD); and 6) Defalla, Three Cornered Hat (FIM). While long term listening did not really change my evaluation, it did clarify my earlier impressions. This cable really has the ability to startle the listening “jump factor”. Intelligibility of voices was excellent. The sound of stringed instruments was never strident. Although it did a great job of preserving the leading edge, that was never at the expense of truncating the decay or tail. It seemed to add solidity to images. If I were forced to use a one-word descriptor for the sound, it would be “balanced”. My reference SACD/CD player for the past three years has been the Esoteric X01-D2. 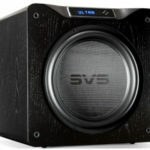 While I find that its strengths outweigh its weaknesses, in comparison to the EMM Labs it can at times sound somewhat lean. During most of this period, I have followed the manufacturer’s recommendation and used the matching Acrolink Mexcel 7N-PC7100 power cord and the Mexcel 7N-D6100 balanced interconnect. During the review period, I substituted the Zyklop with spectacular results. 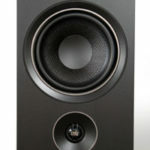 Treble and midrange were smoother and better defined, while bass increased in depth and articulation. All this while removing artifacts and noise that subtly masked the fine detail in music and images. While I am not an engineer by trade, many of my friends have very solid engineering backgrounds and are quite skeptical about the effects of wire and power cords. Some of that skepticism has rubbed off on me; consequently, I much prefer that a manufacturer explain his products in scientific terms without resorting to voodoo or pseudoscience. This is one of the things that I like about Stage III. But more importantly, their cables deliver on their promises. Zyklop power cables will enhance almost every performance aspect of your system. The increased video contrast and sharpness will make images practically holographic. 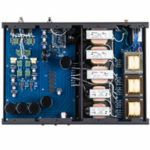 This design represents the current limit for linear, silent and unrestricted power delivery for the best audio and video components. 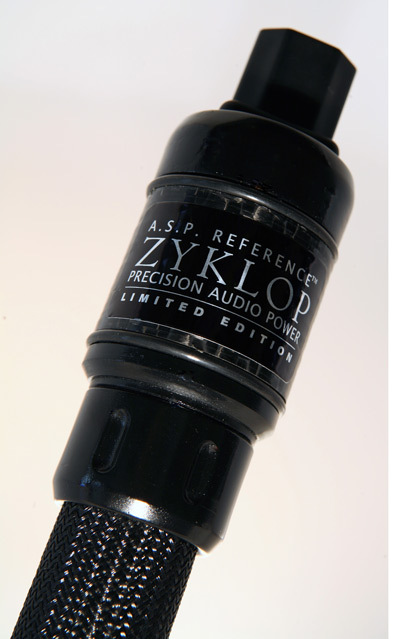 In comparison to almost all other power cords that I have auditioned, the Zyklop represents significant gains in frequency extension, stage depth, retrieval of low level detail, transparency, recreation of soundstage, noise, natural tonality and dynamics. In addition, it has an uncanny ability to balance the instruments in a mix so that all receive attention but none predominates at the expense of the others. Perhaps most importantly, it has the ability to draw you into the music and communicate the excitement of a live performance. As you may have noted this cable is not cheap, but a single strategically placed power cord can have a major impact on the sound of an entire system, particularly when that one cord is providing power to a multi-plug distribution center into which other components can be plugged. This is particularly true when the other cords are also from the Stage III line-up.